The court trial for Gov. Eric Greitens’ felony invasion of privacy charge is expected to begin next week in St. Louis City. He’s accused of taking and transferring a sexual photo of his hairdresser-turned-ex-mistress and threatening to blackmail her with the picture to keep quiet about their 2015 affair. Greitens, a Republican, has admitted to having an intimate relationship with the woman but has denied any criminal wrongdoing. Will the governor and Gardner testify under oath? The question remains to be seen. Greitens has the right to remain silent. The legal move is meant to prevent a defendant from saying anything that could be used against them. However, as governor, comes an expectation from some Missourians that he will answer tough questions under oath during a cross-examination. 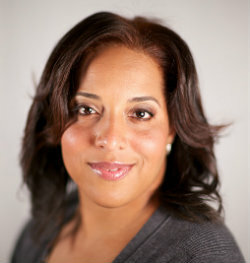 An attorney for Greitens suggested in court on Wednesday that he might call St. Louis Circuit Attorney Kim Gardner to the witness stand. He wants her to answer questions about an alleged audio recorder malfunction by Gardner’s hired investigator. William Tisaby has pleaded the Fifth Amendment about accusations that he withheld a videotaped interview of the woman at the center of the case. Prosecutors initially said the recorder had malfunctioned, but they eventually released a copy of the tape the same night a Missouri House committee unveiled initial findings of its investigation about the governor. Greitens’ trial will not include an alleged secret recording released to KMOV-TV that blew this case wide open. The audio is of the woman and her ex-husband talking about her purported sexual encounter with Greitens. Judge Rex Burlison has ruled that the tape cannot be played in court. In the recording, the woman describes Greitens taking a photo of her in a state of undress while she’s blindfolded and bound to exercise equipment in the basement of Greitens’ home. The woman says she was not aware that the private conversation between her and her estranged husband was being recorded. A forensics technician has pulled information from Greitens’ cellphone, email account and data associated with another phone number. The St. Louis Post-Dispatch reports that the information was taken on Tuesday in a locked St. Louis courtroom. The governor’s ex-mistress attempted to block an order to turn over her cell phone. At the end of April, the Missouri Supreme Court ultimately ruled against her request. When were initial requests submitted for the collection of such forensics from Greitens and the woman? The allegations surfaced in January. The strategy could involve the hope of finding additional useful information after the accusations came to light. Sifting through the data could take several days. The trial is expected to take about one week. Large amounts of anonymous cash have allegedly emerged to help to pay the legal bills for the woman’s ex-husband. Al Watkins, the attorney for the man, said two $50,000 payments arrived at his office in January. He identified Missouri Times newspaper publisher Scott Faughn as the man who delivered one of the $50,000 payments. Watkins, who initially said he did not know where the money came from, said a courier dropped off the other. Faughn responded through Twitter and Periscope by saying the money was because he retained Watkins as an attorney for a book he is writing about Greitens. A Missouri House committee investigating Greitens wants to subpoena Faughn about the allegation but Faughn is nowhere to be seen. At a court hearing this week, defense attorney Jim Martin said Watkins testified in a deposition that Faughn made two additional $10,000 payments. In a statement, Greitens attorney Maria Jeffrey referred to Faughn as, “a member of the media who has extensive ties to the governor’s political opponents.” The Missouri Times covers the state legislature in Jefferson City. Can both sides agree to 12 jurors? 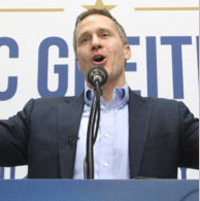 The incident between the governor and his former mistress is alleged to have occurred in Greitens’ St. Louis home – making jurisdiction fall under the St. Louis Circuit Attorney’s Office. Greitens’ attorneys have argued that the governor cannot get a fair trial in the Democratic stronghold of St. Louis. They have requested a judge to rule on the case through a bench trial. The defense also argues that extensive pre-trial publicity has tainted the jury pool. The judge has denied the defense’s requests for a bench trial and to dismiss the case. Burlison says he could reverse his decisions at any time if he feels the need to. Jury selection gets underway today. Attorneys will question 40 potential jurors in the morning and 40 in the afternoon both today and tomorrow. The final 12 jurors and 3 alternates are expected to be chosen on Monday. Missourinet contributing reporter Jill Enders will cover the governor’s trial in St. Louis and will have regular updates throughout each day. Opening statements are expected to begin Tuesday.